Winning Racing Tips At The Click Of A Button! For the very first time, you can now enjoy on-demand racing tips as based on the exceptionally profitable Morning & Evening Value Services. Enabling you to identify the best possible tips at a click of a button. Prefer to bet early in the morning? Prefer to bet at lunchtime? Prefer to bet on your days off? Prefer to bet on weekdays only? With the Value Machine you can choose which day and time you want to bet. Limited to betting with certain bookmakers? Prefer betting at short odds? Prefer betting at long odds? With the Value Machine you can choose the type of bets you want to suit where you want to place them. Best of all – it works with a fantastically proven betting service with winning results since 2011! Expert Racing Tips On DEMAND! The Value Machine is a unique web based program from expert tipster, Kieran Ward, which allows you to replicate the betting results from his successful Morning & Evening Value Services – at a time and date that suits you! You can run The Value Machine whenever you like and it will pump out the best tips available at that time according to the current odds available in the betting market. The selections generated by the Value Machine are those based on Kieran’s successful Morning & Evening Value Service strategy – enabling ANYBODY, regardless of knowledge, experience or expertise to access these tips. The Value Machine is a simple, easy to use web application with no download required, which you can login to whenever you please and use to find the best bets. Each time you click the Run button on The Value Machine, it applies a set of complex selection criteria to every runner of the day before carrying out a detailed analysis of the live betting market to identify those bets at value prices. The Value Machine then fires out the best selections with the odds to take and the bookmakers offering that price. All you have to do is put these bets on with the bookies or exchanges at the advised prices. You don’t have to download or install anything. You don’t even have to be on your PC – you can login to the site and run the machine from your tablet or even your mobile phone. Count your money at the end of the month! The Value Machine is based on the very same strategy that has made the Morning & Evening Value Services such a success since 2011. Both the Morning & Evening Value Services have stacked up the profits every year of operation, supplying tips twice a day at 10.30am for morning races and 45 minutes before evening races Monday to Saturday. As of current date, Kieran has proofed 40125 bets since 2011, which has made a 4286 point profit. This is at an ROI of 10.68% and ROC of 1428%. The beauty of the Value Machine is that you can run it when you want and also choose the type of tips you want to back – all based on your personal preferences. To showcase how you can tailor the tips to suit your requirements, below you can see the results if you had followed 3 different approaches. Each approach is based on the results if you had run The Value Machine 4 times a day, every day (At 8am, 10.30am, 12pm and 3pm) since November 2011. If you really wanted to maximise your profits running The Value Machine, these are the results if you had backed each tip priced 20/1 and under. The odds must have been available with a minimum of 2 bookmakers. The current profit total from this approach, since The Value Machine began on the 4th November 2016 stands at 889 points profit, 7.85% ROI and 296% ROC. For those of you looking to bet on less tips every day, Option 2 displays the results if you backed each tip that was 10/1 and under and available with a minimum of 2 bookmakers. The current profit total since The Value Machine began on the 4th November 2016 stands at 813 points profit, 9.17% ROI and 406% ROC. For those of you looking to bet at the short-end of the betting market, then Option 3 displays the results if you backed each tip that was priced between 7/4 and 3/1 and available with a minimum of 2 bookmakers. The current profit total since The Value Machine began on the 4th November 2016 stands at 154 points profit, 10.66% ROI and 171% ROC. If you prefer to bet at short or even long odds, you can tailor the Value Machine to identify the best tips inside a certain odds range only. If you don’t have an account available with a bookmaker – you can remove them from the list of firms included so only those bookmakers you want included appear when you run your value scan. For example – if you can’t bet with Ladbrokes, there is no point in being advised that they are offering a value price on a horse. The Value Machine enables you to remove any such bookmakers from appearing. The Value Machine will also allow you to choose a minimum number of bookmakers offering a value price. 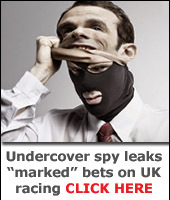 Ideal for those of you who want to split your stakes on any bets so as to go under the radar. The Morning & Evening Value strategy occasionally picks more than 1 tip in the same race. If you prefer, you can choose a maximum number of selections per race that The Value Machine will identify. Ideal for those of you who don’t like backing more than one tip in the same race. Replicate the incredible results of the Morning & Evening Value Services – if you secure access to The Value Machine, you will be able to replicate the results of The Morning & Evening Value Services yourself at the click of a button. Improve upon those results! – You may even be able to improve upon those results as The Morning & Evening Value Service uses value selections identified at 2 very specific times each day. With The Value Machine, you can run a scan at any time you like. And just as crucially, as many times as you like! You will find more bets that way – but at the same predictable level of value. Which, in the long term, means greater profits. Your Machine Doesn’t Need a Day Off – It’s worth noting that Kieran has never sent out tips from The Morning or Evening Value Service on a Sunday – all the profits generated were produced during a 6-day week. The Value Machine, however, doesn’t need a day off – nor does it take holidays! Again, in the long term, this means greater profits! Bet when you want, where you want – With the Value Machine, there is no need to be available to place bets at particular times each day. You simply run the software when you have a few moments and you don’t need to be sat beside your PC – access the Value Machine direct from your tablet or even your phone. The Value Machine is the perfect value-finding solution for users who are out of the house during the day and only get to grab a few minutes at odd times. Whenever you are available, The Value Machine will identify value price selections in seconds, at the click of a button. As you can run The Value Machine whenever it suits you, you don’t face the issue of trying to secure a price at the same time as everybody else following a tipster. No more chasing a rapidly disappearing price! Automate your record keeping – Another nifty feature that added to The Value Machine – Once you have backed a selection, you tick a box next to its name and it’s transferred to another record keeping area. That ensures that it won’t appear in subsequent Value scans and there is no danger of you backing it twice. At the end of the day, The Value Machine, sorts those bets for you, works out the results and give you a running profit and loss total. You can then export your results to an excel spreadsheet, csv file or, on a big win day, even print them out if you like! Detailed recording of all your bets is essential in putting your betting on a professional footing and The Value Machine has you covered. This feature alone saves you a vast amount of time each month! The 6 and 12 month membership options have never been provided by The Value Machine and are exclusively available to SBC members only! Existing Member Of A Value Service? Save Even More! Festival Value, Evening Value or MVS Lite Subscriber – Save an extra 20%! If you have an active subscription to any of these 3 services, you can save an extra 20% on the cost of the Value Machine. Morning Value Subscriber – Save an extra 50%! If you have an active subscription to the Morning Value Service, you can also save a further 50% on the cost of the Value Machine. Details of how to obtain this discount is provided upon subscription to the Value Machine.